DEDEDO, Jul. 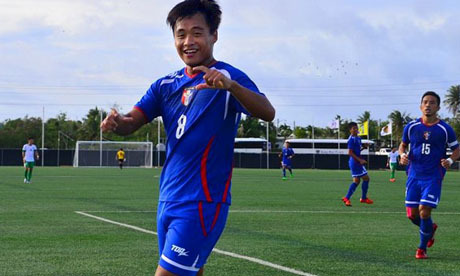 4, 2016 (AMP) — Japan 2017 (Qualifiers) : Taiwan defeated Macau by a score of 3-2 (halftime: 1-1), in a East Asian Cup qualifying game (First Round) on Monday afternoon at the Guam Football Association National Training Center in Dededo. Taiwan advance to the second round of the ongoing East Asian Cup qualifying campaign. Macau is eliminated.